Constipation can be defined as decrease in the frequency of passing stool and can also involve difficulty in the passage of the same from the body. You usually do not need to visit a doctor if you are suffering from constipation. That may also be the case even if you suffer from it occasionally. However, you might have to consider getting medical help if the problem is persistent. In order to alleviate the problem, you could try simple treatment methods at home. If the problem still persists, you can try getting medical assistance. The following article deals with some of the common treatment options available for dealing with constipation. The reason for getting constipated could be more than one. With this in mind, you should understand that there is no universal cure for constipation. However, there are several things you can do, to try and alleviate the symptoms. Here are some of the things you can do on your own to treat constipation. Many people find conservative treatment approaches to be quite effective. The majority of the cases will respond to this kind of treatment. Another plus to this approach is the fact that you will not need to take any kind of medication. Conservative treatment involves making lifestyle changes, altering your diet, and if needed, taking mild laxatives. With this kind of approach to constipation treatment you will be required to take in the right amount of fiber required for your diet, which is about 20-35 grams of fiber. 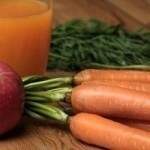 You will also be required to drink 64 ounces of liquid, including juice and water, every day. Part of this mode of treatment involves limiting your intake of meat, processed food, ice cream and other low-fiber foods. Lifestyle changes in conservative treatment consist of adding an exercise regimen. You will also be required to take time for bowel movement. This basically means to have bowel movement when it is actually needed. Now, if you do not see any changes after following all the above, then you will have to take mild laxatives. The laxative options available to you include bulk forming laxatives (like Serutan and Citrucel), stimulant (like Dulcolax and Correctol), lubricant laxatives (like mineral oil) and saline laxatives (like citrate of magnesia or milk of magnesia). Tip: if you get dizzy, have irregular heartbeat, muscle cramping, dehydration, nausea, asthma or any other side effects after taking laxatives, you should immediately go to your doctor. There are other constipation treatment methods you can try in case the above outlined conservative method does not work. Here are some of your options. This list includes using over-the-counter options and also some simple changes that can be incorporated in our lives to help combat the effects of constipation. eating right: It is very important to include plenty of fiber and roughage in our diet. This will surely help to keep constipation at bay. Including foods rich in roughage such as broccoli, spinach, cabbage and so on will positively have an impact. Also, drink 8-10 glasses of water every day. 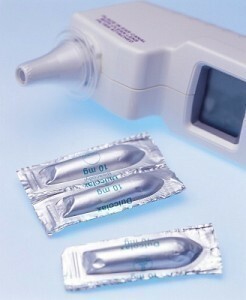 rectal suppositories: Rectal suppositories help give lubrication and stimulates the defecation reflex. Suppositories that contain bisacodyl have an additional effectiveness. avoiding consumption of alcohol: It is best to avoid the consumption of alcohol and keep away from smoking. It will also help to avoid the consumption of strong coffee or tea very frequently. bowel retraining: Bowel retaining provides relief for those who have acquired the habit of ignoring the urge. You may have to sit at the toilet for 20 minutes each morning to regain the necessary reflexes. During this exercise, never strain at it. biofeedback: Biofeedback will usually be recommended as a constipation treatment for chronic conditions. Sensors will monitor a patient’s muscle activity. Doctors can better assess one’s body functions and help the patient use anorectal muscles. enemas: Enemas are useful when oral laxatives just do not work. 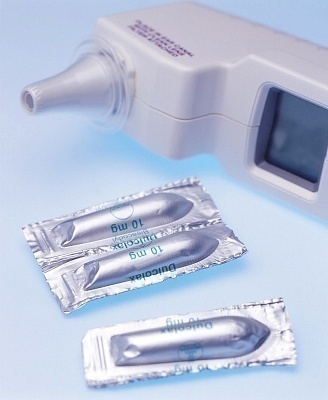 You can get disposable enemas which contain non-absorbable salts. surgery: This is a constipation treatment that will be necessary for those with severe symptoms. The colon will be removed using a surgical procedure. Constipation can be quite annoying and can cause a great deal of discomfort. Use the above mentioned treatment options to help abate the condition.